is a Palestinian film critic who lives in the UAE. 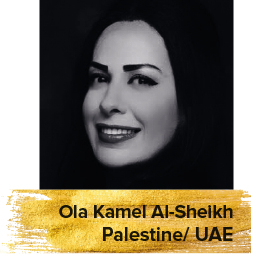 Ola has been in charge of the Cinema pages in the prestigious Emirates Today newspaper for five years, and she also writes film reviews for the Al-Hayat newspaper. A a member of "Critics Without Borders" in ‎Sweden, she has been part of the selection committee for MAFF Development ‎Funding, the Malmo Arab Film Festival initiative that supports projects which focus on issues that concern Arab culture, identity and exile or are co-produced by Swedish and Arab producers.